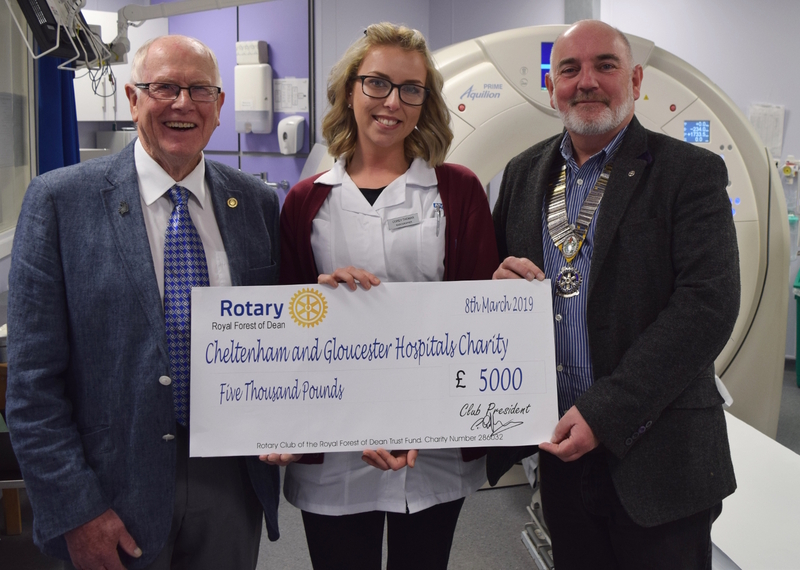 Cheltenham and Gloucester Hospitals Charity’s CT Scanner Appeal has received a boost following a £5,000 donation from The Rotary Club of the Royal Forest of Dean. The CT scanners will benefit patients across the county, and when the club heard about the appeal they wanted to get behind it and give their support. "Many of us in the club have first-hand experience of the CT scanners and the incredible care they give at our hospitals, and we know this appeal will make an impact for the local community. It’s fantastic for the Rotary Club of the Royal Forest of Dean to be able to play our part in bringing faster diagnosis to Gloucestershire." said Rotarian Chris Hammersley. The donation adds to the growing total for the appeal, which last week reached £500,000 with individual donors, online fundraisers, community groups and local companies all getting involved.